Roll them, balance them, and stack them all over the place! 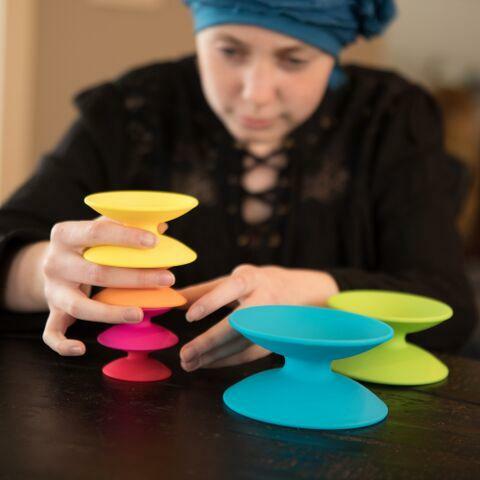 Finished with a uniquely soft yet grippable texture, this set of colorful spools encourages kids to practice their motor skills, spatial reasoning, and exercise their creativity. This set of seven spools range in size from big to small. BPA Free. Dimensions: Largest Spool - L: 5" x W: 5" x H: 2.5"